When Vogue magazine ( Vogue magazine!) is writing about pay equity, you know the tipping point is in the rear view mirror. Of course, it took a public discussion between two movie stars to wrench this fusty issue from the disco era to today. Jennifer Lawrence, famous for playing take-no-prisoners Katniss in the huge “Hunger Games” franchise (final installment opens Nov. 20. I can hardly wait) posted a stream-of-newly-raised-consciousness post on a relatively obscure ezine in which she said, essentially, ‘no more Ms. Nice Gal” when it came to pay negotiations. Because thanks to the Sony data hack, the whole world now knows that Cooper and Christian Bale, her co-stars in “American Hustle,” made a LOT more money than Lawrence and her co-star Amy Adams. Lawrence and Adams won awards for their performances. Cooper and Bale did not. So much for the myth that the pay gap is explained by a performance gap. Lawrence’s rant was picked up by the mainstream media, starting with the Washington Post and rippling outward and upward from there. Vogue! Cooper rose to the occasion by publicly promising to share pay information with female co-stars from now on so they aren’t at a negotiating disadvantage. And with that, he shows that he gets it. Because nothing changes unless women have the information they need to negotiate. That’s the rationale behind the Lilly Ledbetter Fair Pay Act of 2009. It makes it illegal to force people to shut up about pay. But of course most people keep their salaries to themselves on their own. 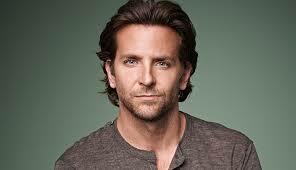 Until Bradley Cooper made it cool to share what you’re paid with co-workers who are doing equal work. For which they should get equal pay. Employers are just starting to wake up to the pay equity monster. Even accounting firms aren’t as on top of pay equity as you’d think. According to the 2015 Accounting MOVE Project, which I manage, only 25% of CPA firms analyze employees’ pay levels by gender. Companies need to get ahead of this. They can start by manning up and doing the work to see if they actually have a pay gap and if they do, by fixing it. Besides the Accounting MOVE Project, which has insights that all employers can use, the Department of Labor offers a short pay equity guide for employers. Ignorance is no defense. Just ask the 10,000 businesses that the federal Office of Federal Contract Compliance has ‘evaluated’ for pay equity since 2010. If your company has a government contract, you should know that the OFCCP might come around to see if you are paying women and men equitably. “I don’t know’ is not an answer. If you’re stuck, just think: WWKD? What would Katniss Do? And do that.